Great upheavals have occurred and are still occurring in the Middle East: the successive revolutions and counter-revolutions of the Arab spring, the lightning emergence of ISIS, the agonies of the Israeli-Palestinian conflict, the stagnating civil war in Syria. How do the Greens analyse the situation? In their assessment, how can the people who have risen up gain control of their transition to democracy? 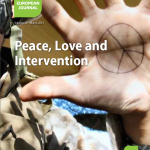 Green European Journal: Four years after the spring uprisings of 2011, how have things changed in the region? Has the EU influenced the course of events, before and since? Isabelle Durant: A cliché has long prevailed in Europe: that in some way the Arabs were not doing so badly under their dictatorial regimes, as if the more arid parts of that region were definitively incapable of nourishing European democratic principles and enabling them to grow. Moreover, much of the European left has joined in, adopting a relativist attitude to the democratisation of the region and considering that dictatorships in the Middle East were probably a necessary evil. Often, in spite of a genuine analysis of the situation and of the counter-revolutions in their various forms, the very same people were soon talking of an “Arab winter”. During the first decade of the 21st century, European support for moderate Islam should have been the keystone of the EU’s diplomatic strategy. However, the EU shuffled its cards and blurred its image by sending contradictory messages to the Arab opposition movements, flouting its own principles in the name of economic imperatives and short-term financial and electoral interests. Moreover, it was unwilling to identify and form relations with any counterparts other than the leaders of those regimes. The EU completely turned its back on the decentralised political players in those areas, locally elected representatives, sub-regional dynamics and, more fundamentally, their civil societies. It focused on the few players based in the area’s capital cities, those who resembled the EU. Most of them were secular. It did not succeed in establishing relations with the most representative non-state players, those opposition movements or religious or civilian entities which had not been taken over by the regime. Reserving its favours for the authorities of the regimes already in place, the EU also failed to share and use the know-how which characterises the European social and democratic model. It would have been extremely helpful throughout the post-cold war period if it had promoted and practised dialogue with and support for the various participants in civil society, as is the case in all the member states according to various terms and conditions. But that barely happened, all of which explains why the EU totally failed to anticipate the January 2011 movements. It is high time the EU gave itself the means to fulfil the expectations of the civil societies of the Arab world and the Middle East, alongside its diplomatic work. Are those mistakes the result of inadequate tools or a lack of political interest? International questions and the changes in the Arab world are having more domestic effects than ever – on the price of oil and the energy crisis more generally, migrations, security, foreign fighters, the threat of terrorism or our attitude to the otherness of our neighbours. It is now possible for the EU to co-pilot foreign policy politically through the European Council and the Council of Foreign Affairs. Actions involving preventive civil and military diplomacy (and the European Foreign Action Service), humanitarian instruments, entities concerned with human rights and the consolidation of good governance, the legal state and fundamental freedoms, the policy of cooperation in development… Though the box may be untidy and some of them may be rusting from lack of use, these tools are nevertheless consistent and easy to mobilise. To which emergencies should those tools be applied as a priority? The greatest emergency is Syria. That is where the revolution became an immense massacre and turned into a civil war which has been raging for four years. It was that massacre which put an end to the West’s enthusiasm for the revolutionary movements in the region. It was from that massacre that counter-revolutions spread to variable extents into countries in the Arab world, from Bahrain to Egypt. Syria is at the region’s historical and geographical crossroads. For lack of information and informers, we do not know what is happening there. What we do know about is the unsustainable pressure of the millions of refugees on Syria’s neighbouring countries and the progress of the Islamic State there, more than in Iraq! Progress which, by the ‘de-jihadisation’ of the opposition, is making Bashar el-Assad the rampart against the barbarians! Another emergency is the need to lift the blockade in Gaza and put a stop to Israel’s colonisation of the Palestinian territories. Taking speedy action, including military action, to respond to those two emergencies would make it possible not only to relieve the Syrian population but also to help reduce the power of attraction and radicalisation exerted by ISIS over young European Muslims and their sense of injustice which is impelling some of them to join their ranks. A quick response to those emergencies would suddenly transform millions of Muslim citizens into European citizens who are proud of the European Union! Something with which to drain the swamp of radicalisation and kill the radical and somewhat simplistic rhetoric which claims that “integration has failed”. Considering the obstacles confronting the mere recognition of Palestine and the procrastinations of the international community which, for four years, has refused to recognise the representatives of Syrian civil and political society, flexing its muscles before the Assad regime but never implementing its threats, there is still a long way to go. Even the international military coalition in Iraq, however useful it may be for protecting endangered minorities, also has the effect of enabling ISIS to gain ground in Syria. However, that is no excuse for not preparing the ground for inclusive diplomatic and political solutions which will involve civil society. Those are the emergencies in the region’s most troubled countries where men, women and children are dying in droves every day. And elsewhere, more structurally speaking, what about the Arab revolutions and the EU? Europe’s biggest mistake, at a time when the expectations of the Arab world were immense, was to limit its counterparts in the discussions to government elites. 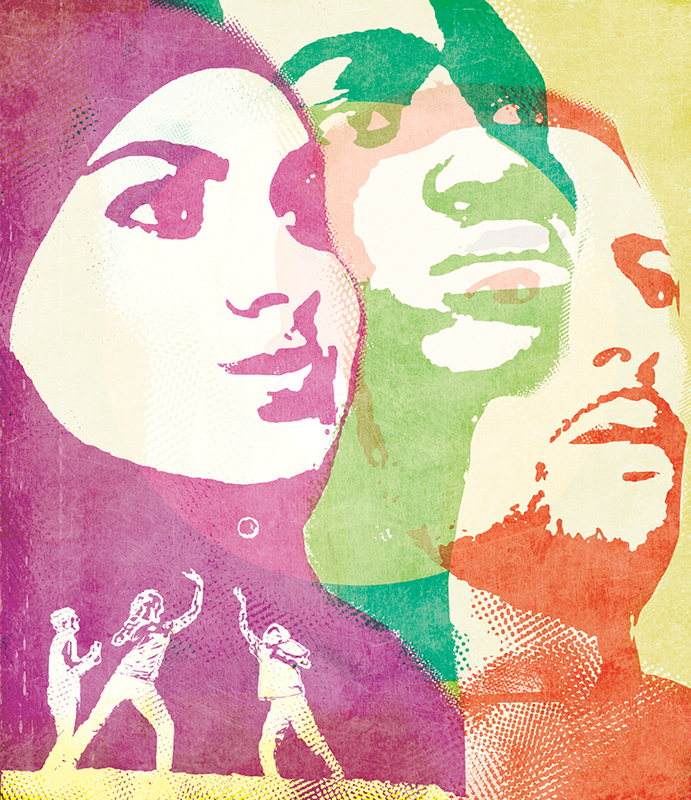 Civil society in the Arab world and the Middle East is on the move, the younger generation, people who have implemented their demographic transition (smaller families) and want to build their future and the future of their children, are mobilising, sometimes “under cover” or in defiance of their governments. Women there are extremely active. Social media is a powerful tool for exchanging and sharing information. The EU must reach out to and support this civil society, from its most traditional forms (union organisations, mosques, human rights leagues and universities) to the more innovatory ones (bloggers, women’s groups, local movements, freelance journalists and independent media entities, etc.). The highly singular example of Tunisia shows us how important civil society has been throughout the constitutional process, particularly at the time of the worst confrontations between the political players. The oldest associations (the unions, the Human Rights League, the Bar) have followed and supported the process since the birth of the revolution, as has the Mourakiboun, an association of young ‘geeks’ who, with the help of an American NGO, created a more productive computer tool than that of the Electoral Commission for collating the results collected by its 10,000 or so observer-citizens during the various ballots. In Libya, during the first days of the post-Gaddafi era, in a country where civil society had never had civic rights, in a time when “freedom fighters” were guaranteeing collective security, women and intellectuals were the first to consider the question of federalism and try to lay the foundations of an independent civil society. Alas, we are far from there today. In Egypt, it was the young members of the movement of April 6th, the spearhead of the uprising against Mubarak, who used the internet as a strike force in order to assemble. They were harshly punished and banned, some of them being sentenced to life imprisonment. This case illustrates the arrival on the scene of citizen players who now meet more or less in secrecy. The handle of the revolutions they had started or in which they had participated was turned again. And then there are the political – and Islamic – opponents, the business leaders, provincial governors and new political parties which formed immediately after the revolutions and support the potential for modernisation of their country or region. The forum for young Maghreb leaders organised by the European Parliament and the many initiatives of the foundations or players in European civil society show the value of exchanges between Arabs and Europeans but also between Arab players of the same region among themselves. That also applies to the NGO set up to enable Jordanians, Israelis and Palestinians to discuss the management of the Jordan river and its banks, a vital watercourse which is in great danger. Local men and women and dialogue are the precursors of the post-conflict situation. It is high time the EU gave itself the means to fulfil the expectations of the civil societies of the Arab world and the Middle East, alongside its diplomatic work. Above all, even if the transition to democracy is in its infancy and/or chaotic, its re-establishment and the progress it will make are not under the control only of the more or less properly elected institutional players. The new generation of players is also fully committed to the democratic, political and economic modernisation of their countries. On the European side, this carefully thought out and more transversal “soft power” should above all gather and weave the link between parliamentary initiatives, civil society and the players in the international business community. It should work to form a network whose configurations and formats must be adequate and suitable each time (mayoral conventions, women’s associations, groups of members of parliament, diaspora associations, etc.) and of variable forms (virtual or on the spot networks, networks differentiated by discipline or interdisciplinary networks, concerning one or more regions or countries, or inter-regional), alone or in collaboration with non-European institutional players (International Organisation for Migration, International Criminal Court, United Nations Development Programme and Environmental Programme, etc.) or entities (Human Rights League, Anna Lindh Foundation, etc.). It may involve direct or indirect financial support from the EU or an exchange of know-how for new or existing projects or networks (young and female members of parliament, female and/or young leaders, interdisciplinary exchanges, etc. ), support for the free and independent media, democratic and religious freedom, support for the organisation and staffing of parliamentary work, the exchange of experience at regional level and/or between players on both banks of the Jordan or pointing out good practice and supporting it. European support for moderate Islam should have been the keystone of the EU’s diplomatic strategy. The EU completely turned its back on the decentralised political players. This method should be the trade mark of the Union’s projects, so that the associated local players adopt them and take ownership of them. Human rights, the compass of the European Union, are its cornerstone. The local authorities, often ignored in such approaches, ought to be closely associated with them. They are the essential players in both the transition to democracy and development. The southern and eastern shores of the Mediterranean are undergoing severe upheaval. The European Union is their first political, geographical, historical and cultural partner. It now has the tools, inadequate, it is true, but not insignificant, to fulfil their expectations, to overcome, but not deny, the history and political choices of the Member States in Brussels, New York, Jerusalem, Tehran or Istanbul. If the Union succeeds in making progress, it will be politically credited on both sides of the Mediterranean. Although the European Union has to some extent failed to manage the economic and financial crisis and in doing so has swollen the sails of the nationalists and anti-Europeans, it could demonstrate greater strength in its handling of the crisis among its southern neighbours. However, it will not succeed unless it resolutely commits itself alongside those who are defending the values it is so quick to promote – even when they defend them bearing arms.